Built in 1926, Bell Street School was the second school for African Americans on this site. The original was Friendship School, founded in 1883 by nearby Friendship AME Church. In 1937, Bell Street School became the first black high school in Laurens County to be fully accredited by the State. When a new high school was built, the facility became an elementary school. 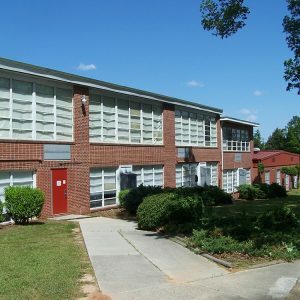 In 1960 it was renamed Martha Dendy Elementary in memory of the mother of the principal, David Dendy. The school closed in 2008.